Whether you need your driveway replacing or a beautifully landscaped garden in time for those summer BBQs, let Travis Perkins help you. Be inspired by hundreds of gardens and driveways here, in our brochure or in branch today. Whether you have a contemporary or traditional style, you will find a fence panel to suit, adding that finishing touch to your garden design. A full range of Surface Water Drainage available providing efficient water management and a stylish finish to any project. Our Timber decking is machine grooved to a profile from certified Scandinavian softwood timber. It is easy to install and maintain and is pressure treated to ensure durability. Whether you’re after something compact for tools or something spacious for larger equipment, our shed range offers a practical solution whatever size or space you have. No toolbox is complete without a few essential power tools, check out our top 15 here. Install lighting throughout your garden so you can keep enjoying that outdoor atmosphere on those summer evenings. Enjoy the fresh air without having to give up the luxuries of modern life by installing power supply points in convenient places. 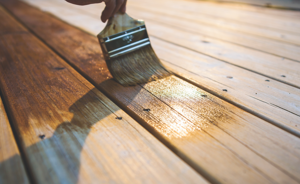 Keep your outdoor installations in a good colour and condition by treating or staining it once every few years. An attractive driveway gives a strong first impression and can even boost the value of your home. 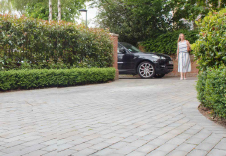 We have a range of driveway paving that can achieve a premium, long-lasting look. If your garden is the focus of your project, take a look at our range of garden bricks, or our patio paving that's available in natural stone or decorative concrete. We provide our customers with a huge range of products, so you're sure to find something to suit your needs. We have a variety of block paving to spruce up your driveway, available in a range of different stones or concrete. We even sell prepared project packs and pre-cut circle packs, making it easier than ever to add an attractive focal point to your driveway or or patio project. Our range of garden landscaping supplies doesn't stop there. We stock soil, compost, geotextiles and decorative aggregates, such as chippings or pebbles. Also, the timber we use in selected decking, fencing and gates is ethically-sourced and specially-treated to extend its lifespan.